A new cake for you! 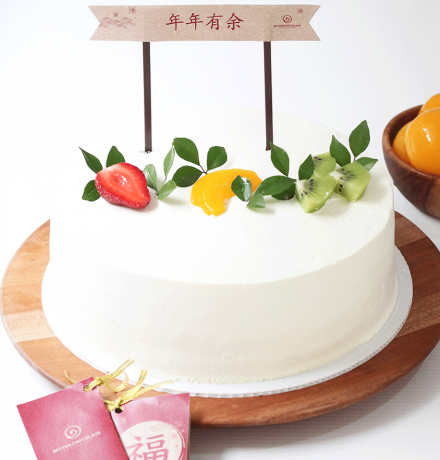 Lots of fruits in between layers of dark chocolate sponge cake frosted with white chocolate icing + little banner + "FU" gift tag. May all your hard work pay off and come to fruition in this coming new year!